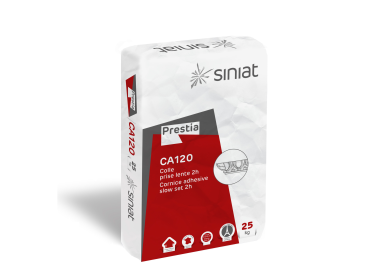 Prestia CA120 Plaster - Industrial Plasters Ltd.
A high quality cornice adhesive from the Siniat range. Has excellent instant ‘grab’ qualities, without clogging up on the back of plaster casts. Its 120min (2 hrs) setting time gives installers the luxury of being able to mix substantial amounts prior to the fixing of large plaster casts. 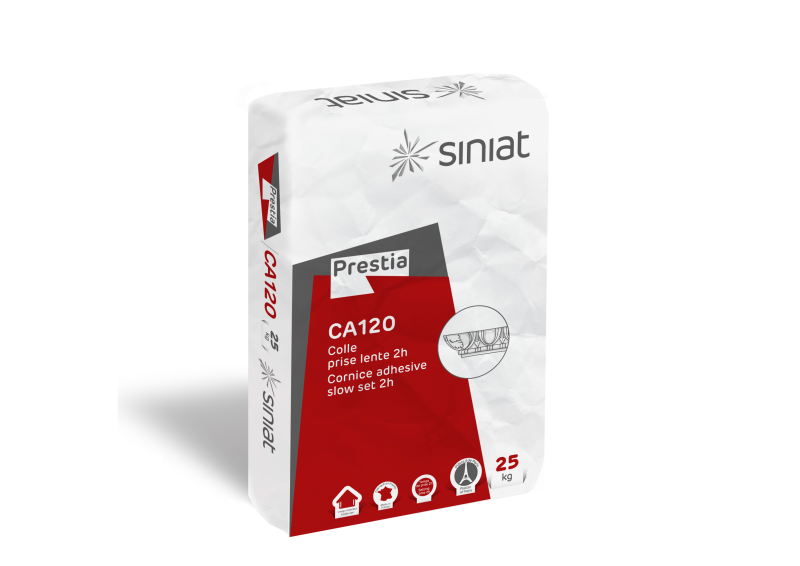 Mixes into a nice creamy consistency it is also ideal for stopping and jointing of mitres etc. Adheres to most surfaces, although tests are advised to ensure suitable substrate preparation if necessary.